Loosely based on Roderick Thorp’s novel Nothing Lasts Forever, Die Hard, released in 1988, saw Moonlighting star Bruce Willis seamlessly make the transition from TV success to movie stardom in a film so taut, explosive, and full of suspense that it would come to define the action movie genre for decades to come. Directed by John McTiernan (Predator), Die Hard also starred revered British stage actor Alan Rickman who turned lead villain Hans Gruber into a presence so deliciously malevolent, audiences didn’t know whether to love him or hate him. "Forget about ‘behind the scenes’—Die Hard: The Ultimate Visual History goes not only behind the scenes, but behind the curtain, inside the sausage factory, and into the room where it happened. A must-have for not just fans of the Die Hard franchise, but for any student of contemporary filmmaking!" "This epic 230+ page book is the perfect holiday gift for the Die Hard enthusiast in your life"
"The research and passion put into this book by its authors is obvious and impressive. This is the kind of work that can serve as a coffee table conversation piece or an intimate part of your home library." “It’s rare to find the truly definitive work on a piece of hugely influential pop culture—this is that book. For any fan of modern American cinema, let alone Die Hard fans, this book provides the genuine story of the blood, sweat and many tears that went into creating and perpetuating a giant American icon. The book resonates with the authenticity that making the great action movies of the 1980’s required, and sets these movies in stark contrast to the cookie-cutter superhero toy advertisements that pass for entertainment today." "It's a museum in a book... the most comprehensive Die Hard book"
"This definitive guide to one of the greatest action-movie franchises of all time is more than just a gift for fans. It’s a win for anybody who loves beautifully-crafted books." "Holiday shoppers hoping to make Die Hard buffs happy this festive season would do well to proceed directly here." "What a wonderful look back on the early days of my career. Kudos to the writer as well as all involved!" 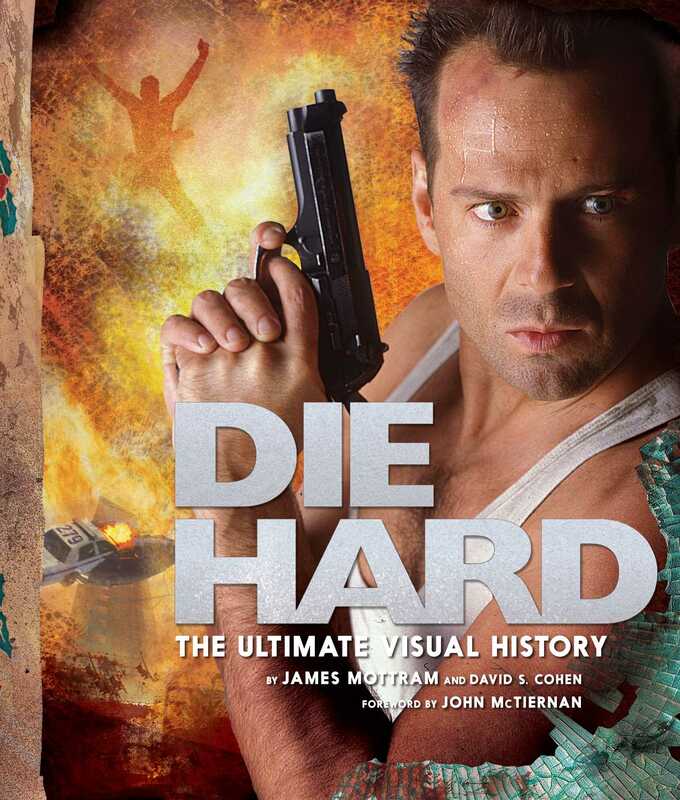 "Since Die Hard is totally a Christmas movie, The Ultimate Visual History would make a great Christmas gift for the cowboy in your life."